The goal of our award-winning team here at Sciencesoft is to help our global clients receive the most effective and efficient use from their software applications. Our Research & Development team comprises of a group of highly trained and experienced software professionals dedicated to delivering the highest levels of customer satisfaction and quality assurance. Decades of sophisticatedly honed expertise and understanding of the oil and gas industry combine to ensure that our products are at the forefront of the industry’s requirements. An enthusiastic sales team works tirelessly throughout the world to maximise commercial opportunities with both our established and potential new clients. We ensure that existing clients are looked after on an ongoing basis with product upgrades and support. 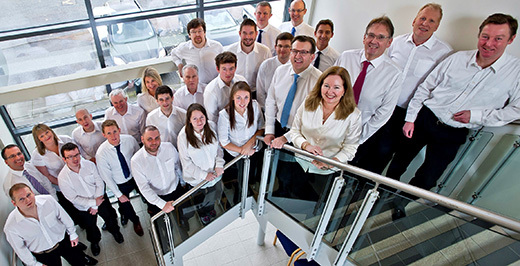 The remainder of our highly effective team provides the vital administration support that ensures that our innovation and sales teams can perform at their best.